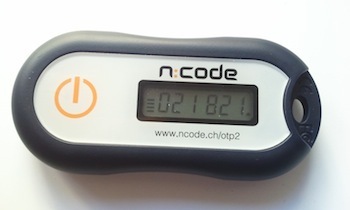 The OTP2 is a timebased One Time Password token, which we use in high security environments. It addresses the most important shortcoming of static passwords: The vulnerability to replay attacks. Contact us to get more information about this security device and the possibility to integrate it into any application through our authentication server product.